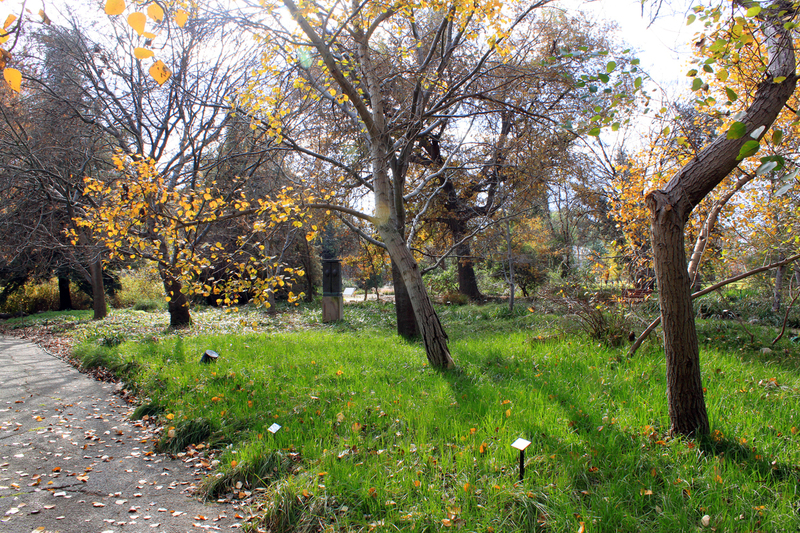 The last of the botanical gardens I visited on my trip was Rancho Santa Ana. Quite different from the Huntington, but it still has a Los Angeles sense of scale. 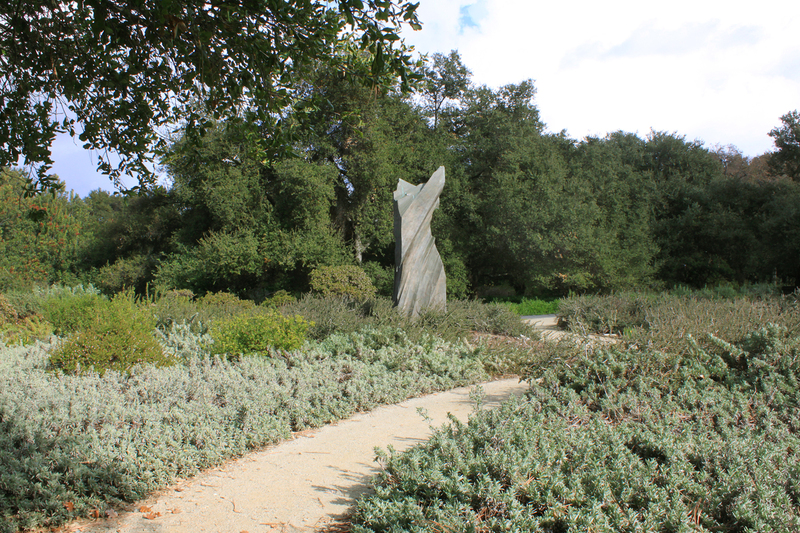 It felt huge to me, three times the size of the Tilden native garden, with some huge specimens and the biggest clumps I’ve ever seen of a number of plants like Heuchera, Dudleya, Snowberry, and many of the chaparral plants. 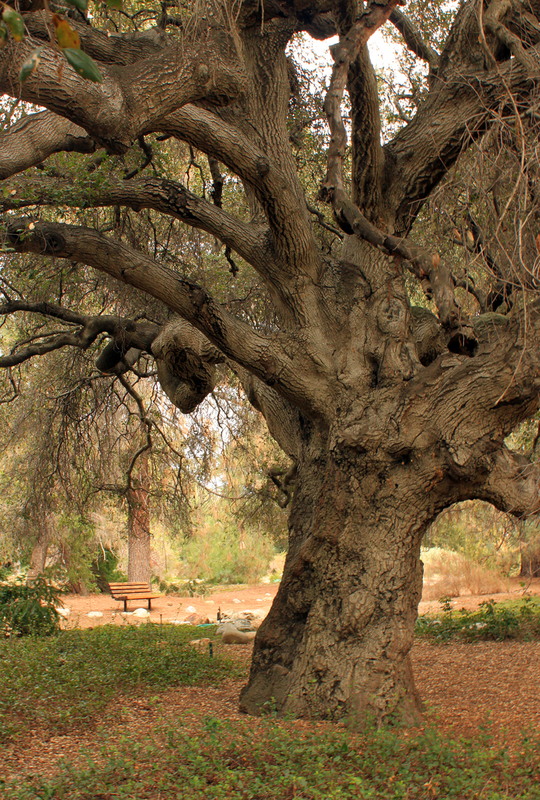 I had big expectations for the famed Rancho Santa Ana native garden, and it didn’t let me down. I’d like to see this patch in bloom. 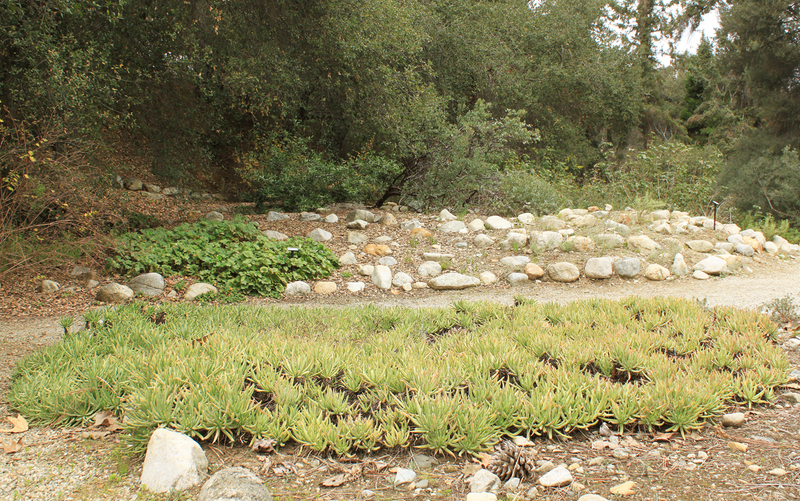 I don’t think I’ve ever seen Dudleya used as a groundcover. Great Deer Grass meadow. 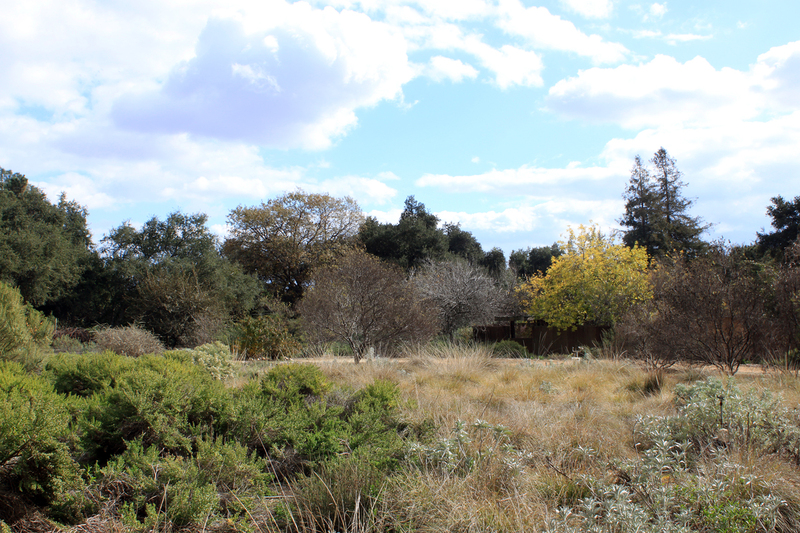 I’ve seen photos of the garden’s annual meadow, but it was still dormant when I was there. 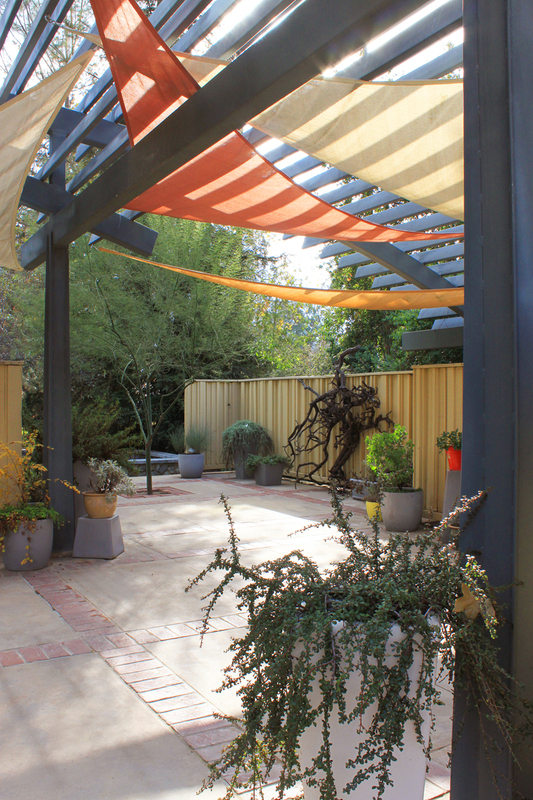 The chaparral plantings made a big impression. 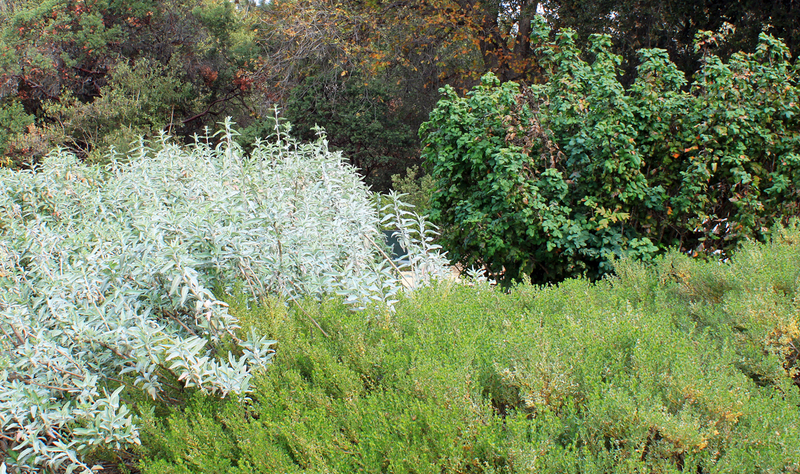 The mounding form and small texture of the plants was kept the same, and then the color of the foliage provided the contrast. Really effective how it all flowed together. Probably the best chaparral plantings I’ve seen. The built forms are nice too. 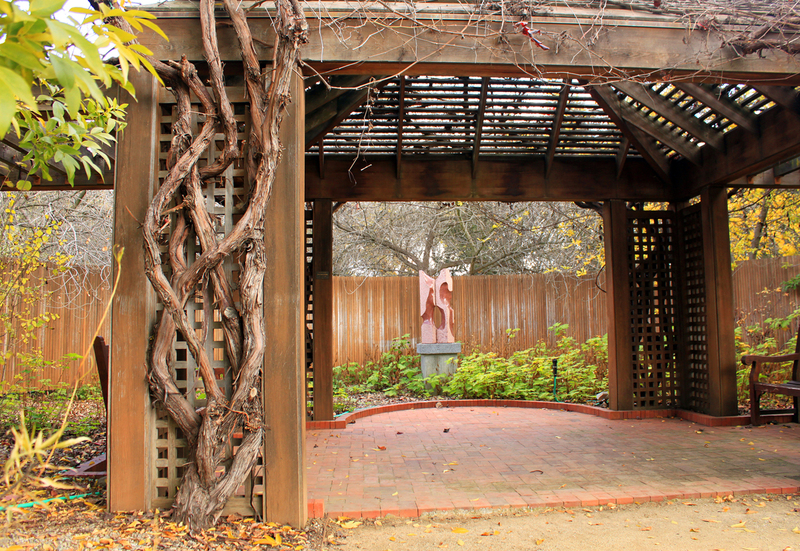 I liked this grape arbor above, I liked the canopy below, and I liked the sculptures throughout the garden. 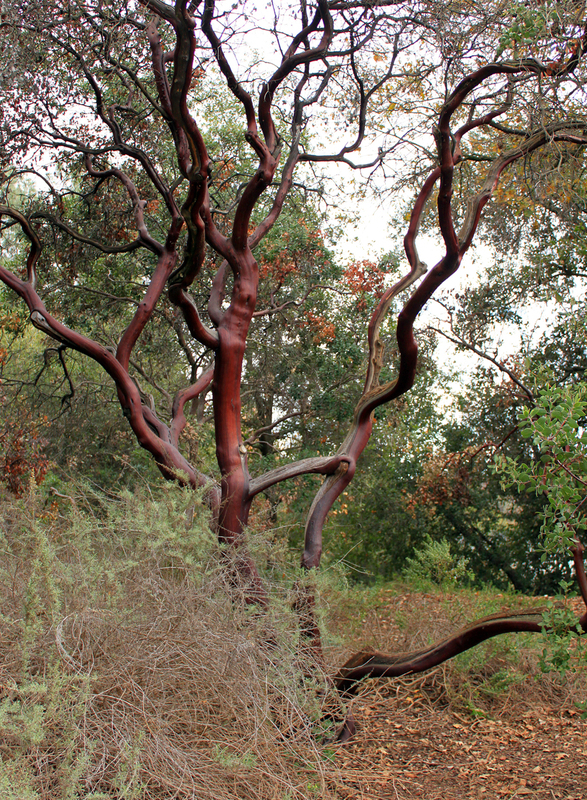 Because I was gone for much of January and busy right before and after, I missed a lot of the peak manzanita bloom in the Bay Area. 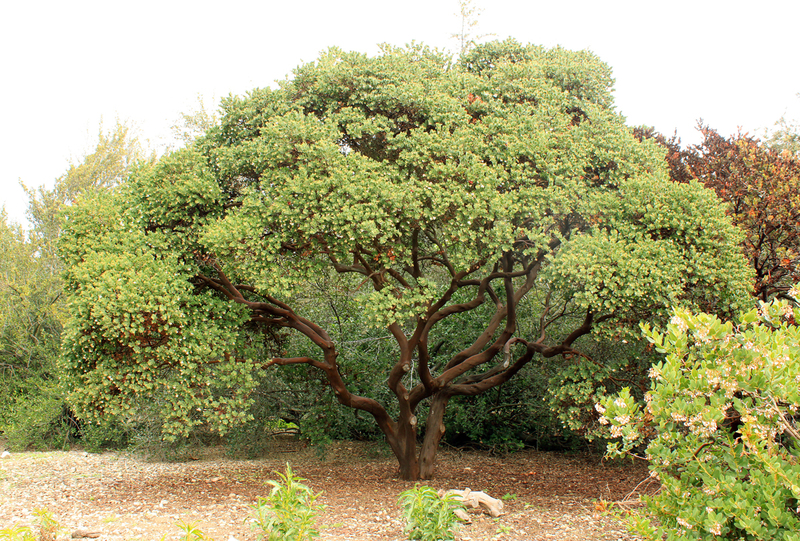 But Rancho Santa Ana has so many nice manzanitas, I still got a good dose. 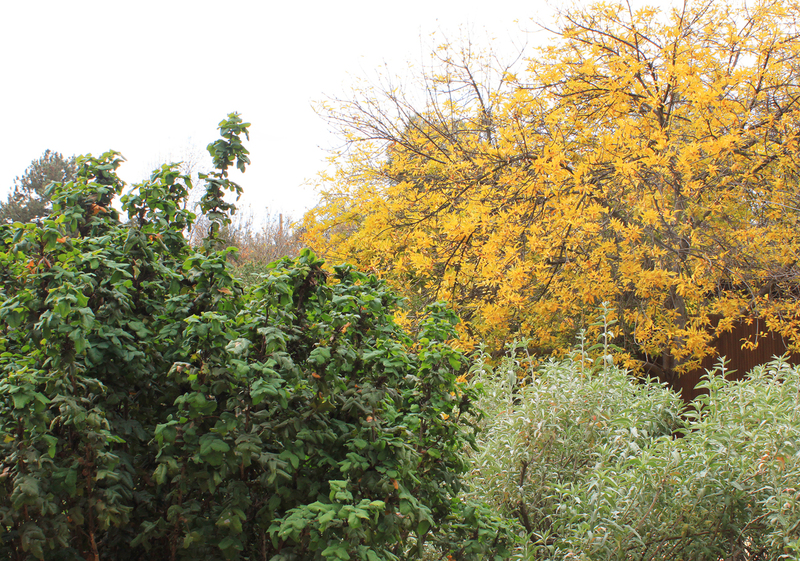 A great garden, hopefully I’ll make it back some year for the springtime bloom. 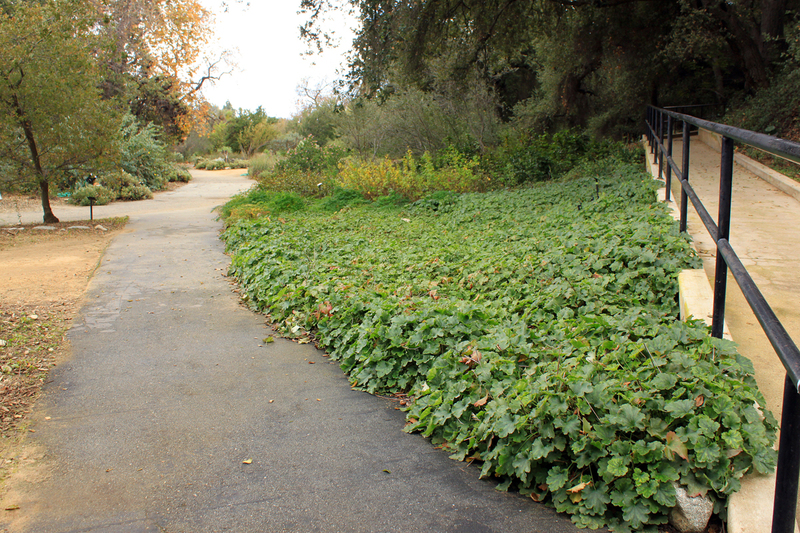 This entry was posted on Tuesday, March 5th, 2013 at 7:25 am and is filed under public gardens. You can follow any responses to this entry through the RSS 2.0 feed. You can leave a response, or trackback from your own site. I bet it’s pretty amazing right now, but it seems to have some big positives whenever you visit. 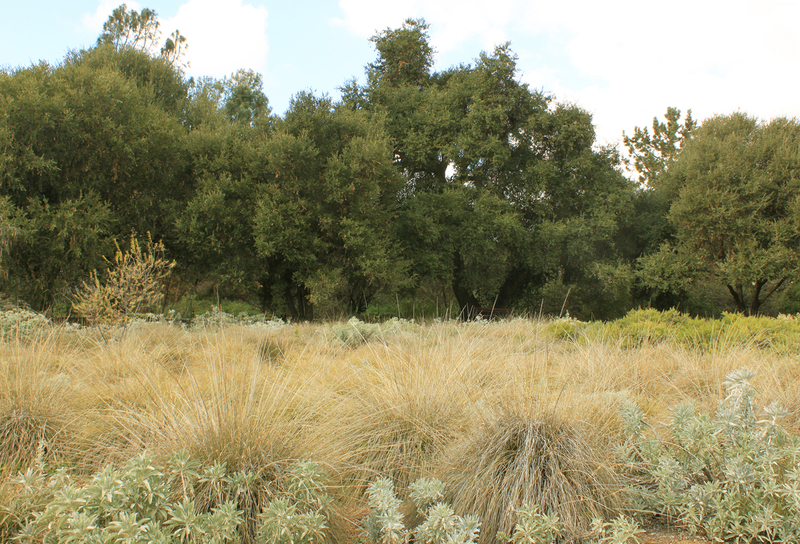 My visit in May had crazy piles of California buckeye in bloom–big shrubs, trees, everything. 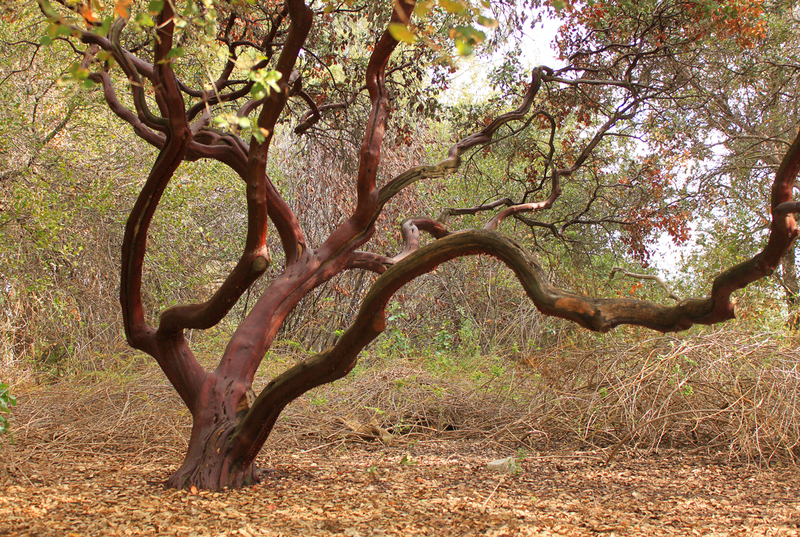 But hey you got a pretty decent manzanita fix out of it. I’m always impressed with their collection of them–and everything else.